After numerous protests from users, YouTube finally announced it will make changes to the policies governing its YouTube content ID system, which has been heavily criticized for putting the interests of copyright owners in front of those users. Several flaws in the system have been identified, which have often resulted in several cases of misidentification. The fact that some copyright holders have taken advantage of these flaws to make YouTube false content id claims has not helped the situation. What is YouTube Content ID System? Before we dwell into the issue of YouTube false content id claims, let’s take a look at what YouTube content id system is and how it works. 3. Running ads against the video and earning from it. When a copyright owner makes a content id claim on any material, the user who uploaded it is notified. As a user, you can acknowledge the claim, modify the content, remove it, share revenue with the copyright owner, or dispute the claim. By simply looking at how the system works, you can come to the conclusion that it is a very effective system. However, nothing is further from the truth than that. Many YouTube users have found themselves in bad situations after content they created was claimed by copyright owners resulting in the content being blocked or revenues from it going to copyright holders. Here is a look at the flaws of the system. The fact that the system relies only on the automatic identification has been highlighted as one of its major issues. When a YouTube user uploads content on the site, it is scanned using with samples provided by copyright owners. In case there is a match, the copyright owner can then make a copyright claim. Since these matches are not reviewed by human beings, content from users has been misidentified or matched incorrectly. Some people have also taken advantage of this to make YouTube false content id claims. Many people have criticized the system for making numerous inaccurate matches. Most users have suffered from their content being correctly misidentified. Cases of content being matched incorrectly are also rampant. This is especially in situations where users upload content containing music from royalty free libraries. The content identification system uses digital copies of content from copyright owners to check for copyright infringing material posted by users. These copies are used to create a digital fingerprint, which is used to check any content uploaded by the users. While it is expected that such a system should require proof of copyright ownership, subjective evidence suggests that this is not the case. Unscrupulous owners have gone ahead taken advantage of this to make YouTube false content Id claims. If a match is identified in the content, users have the right to dispute that claim. However, the dispute process seems to only favor the content owners. When a user files a dispute, the owner is asked to simply confirm their claim on the video. If they do so, they can proceed to have the content blocked or monetize it without any further recourse for the user. 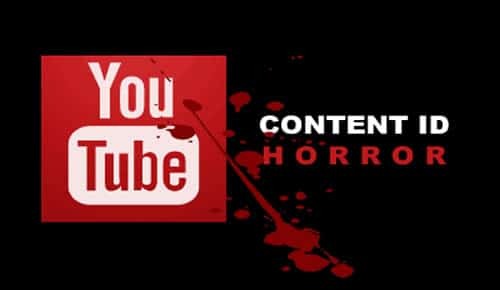 Even with YouTube trying to come up with a solution to these flaws, YouTube users have been forced to live with the realization that any content they post on YouTube is not safe from being the subject of a false claim or mis-identification. Numerous users have been forced to remove their content or see their hard earned money go to fraudulent copyright owners, which is a very sad situation.